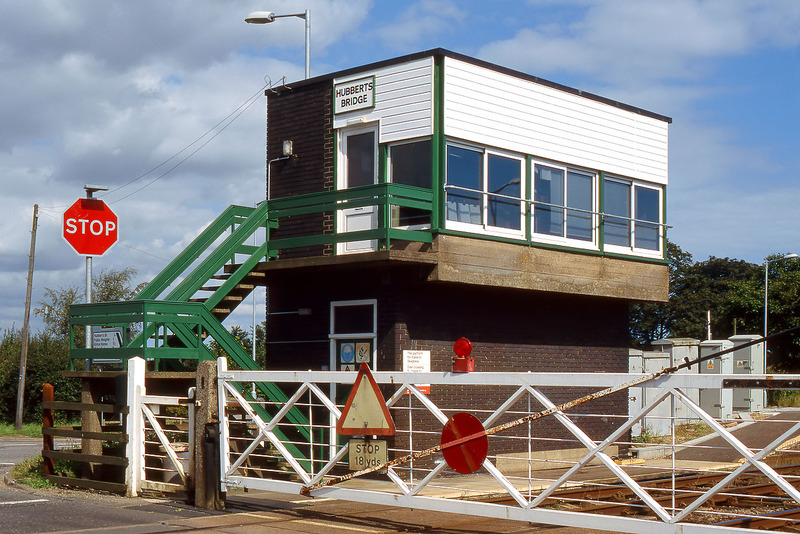 Hubberts Bridge Signal Box, pictured on 1 September 2002. This box was built in the early 1960s, to replace one on the other side of the line, which was collapsing into the nearby Forty Foot Drain! Note the unusual design, with a huge concrete mid section, cantilevered out over the brick base.